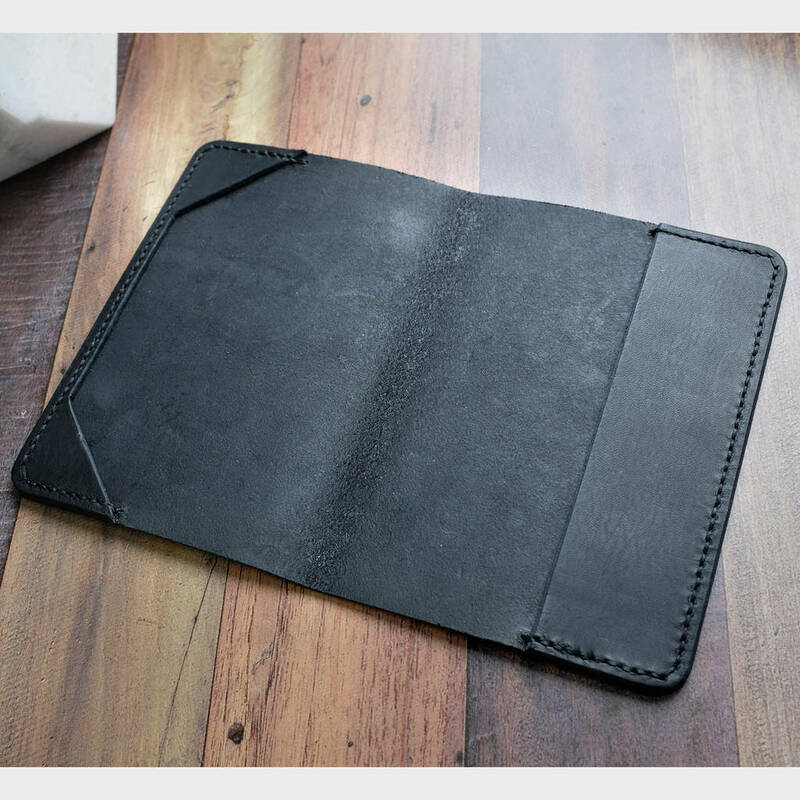 Hand stitched with a waxed linen thread that is strong, durable and repairable. 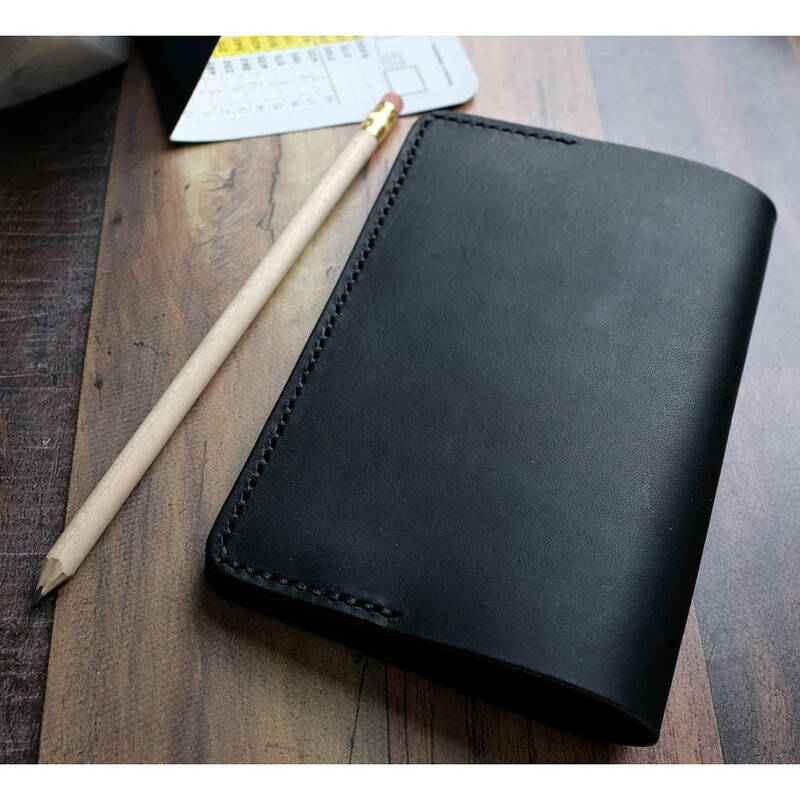 Pictured with the black thread option. 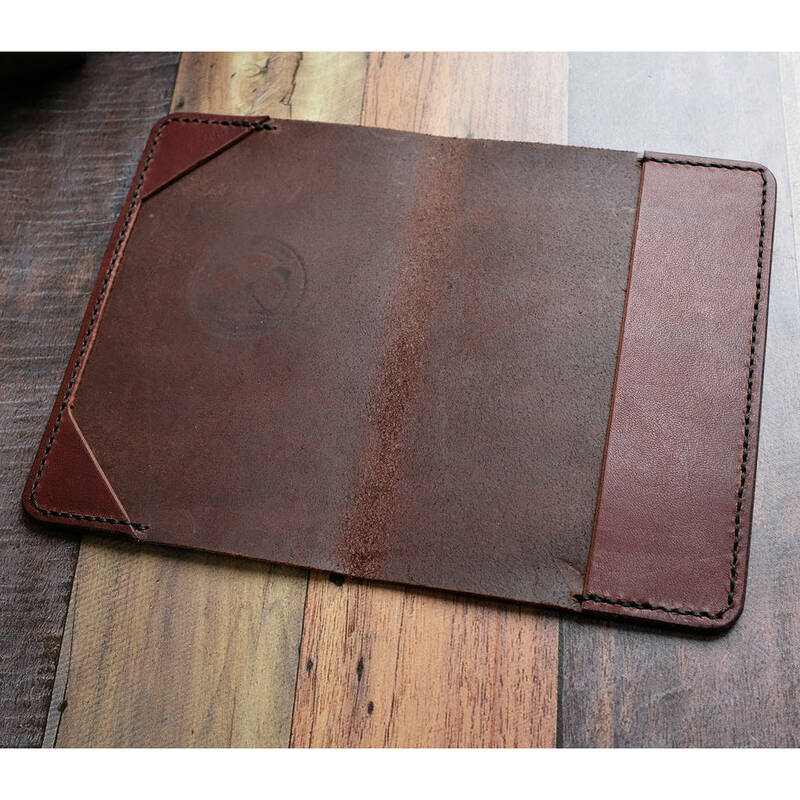 The edges have been bevelled and burnished, and sealed with beeswax for a high quality finish. 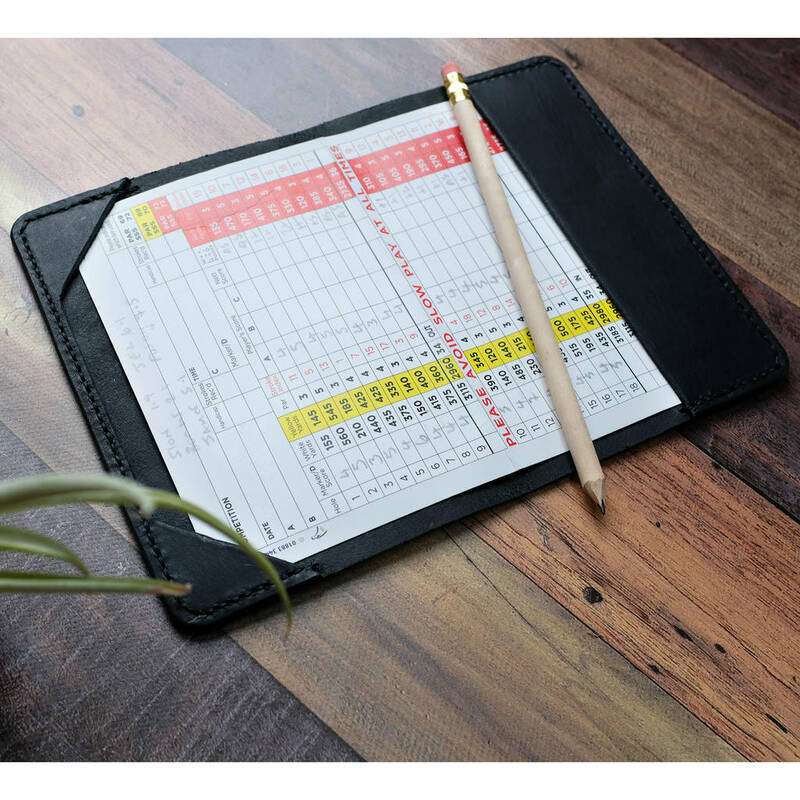 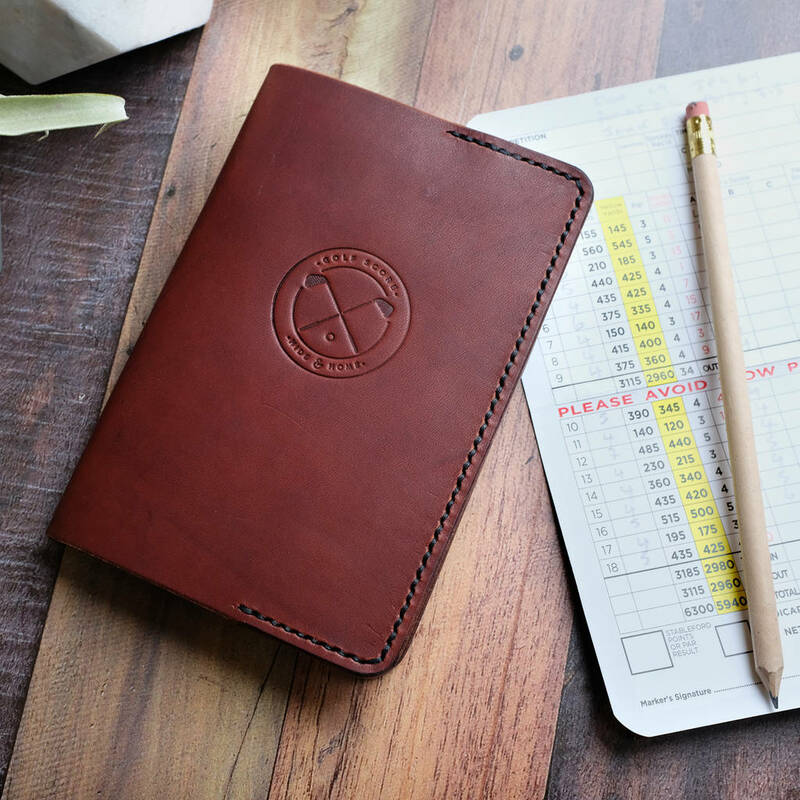 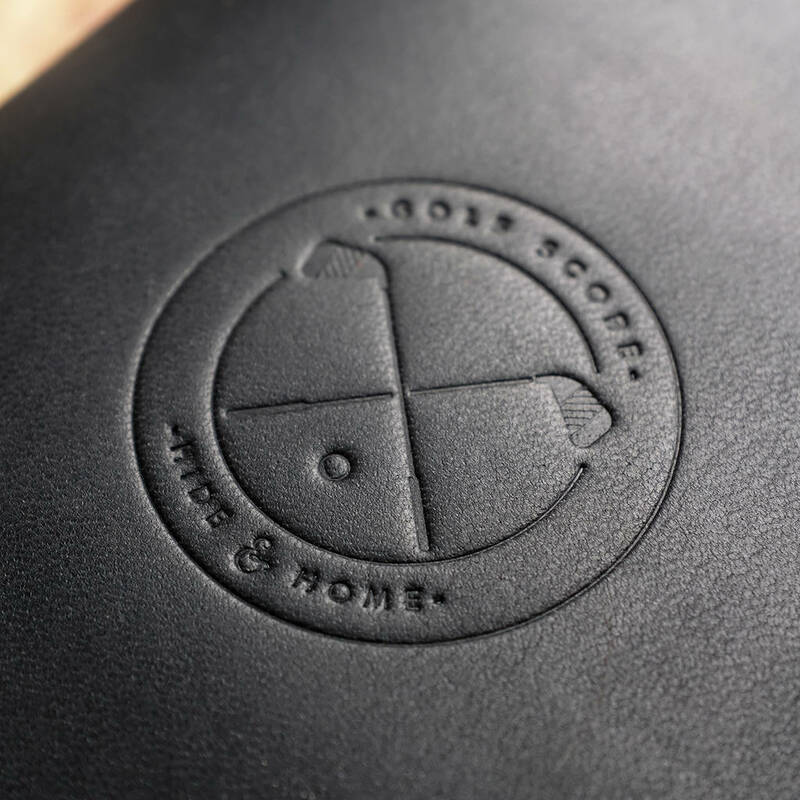 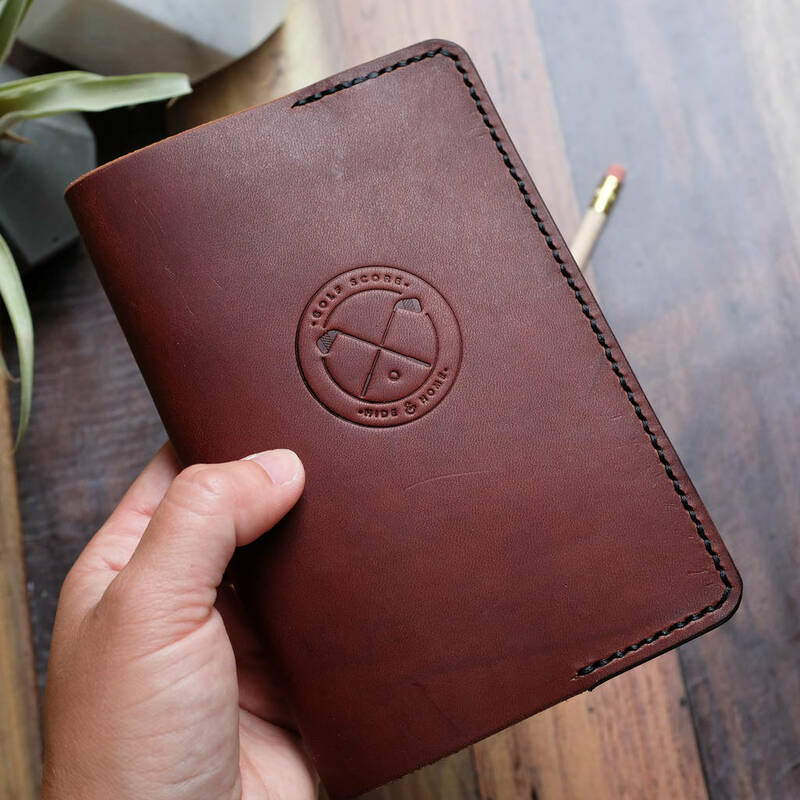 This would make the perfect leather anniversary gift for that golfer in your life. 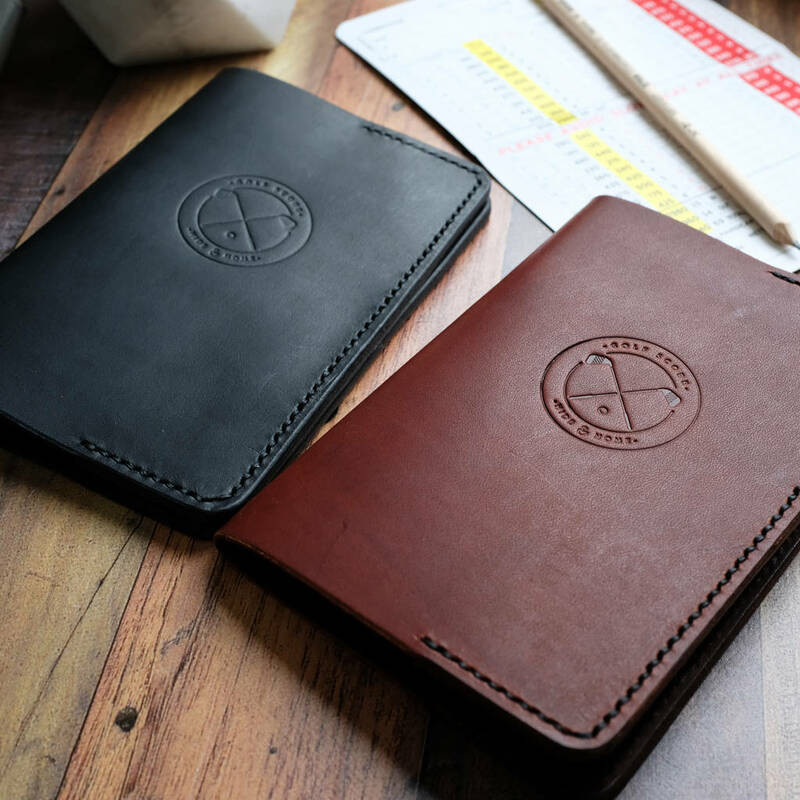 Personalisation is available on this item and will be positioned separately a few centimetres below the logo emblem. 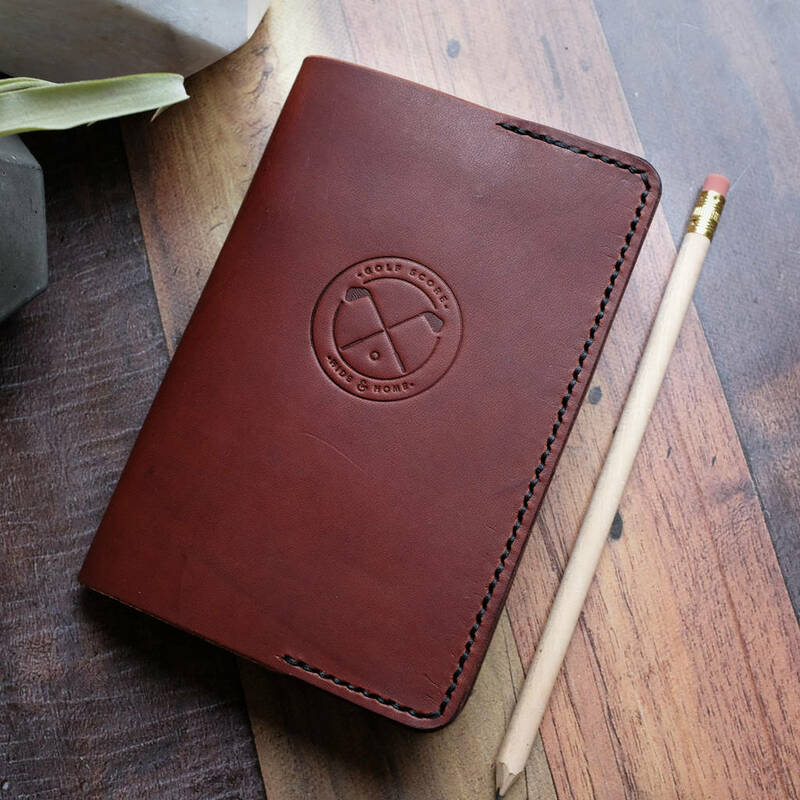 Just leave me a message when you checkout with the details of the initials you would like on your holder(s) of up to 5 characters in CAPS (which will be all the same size). For example JS or J.S. 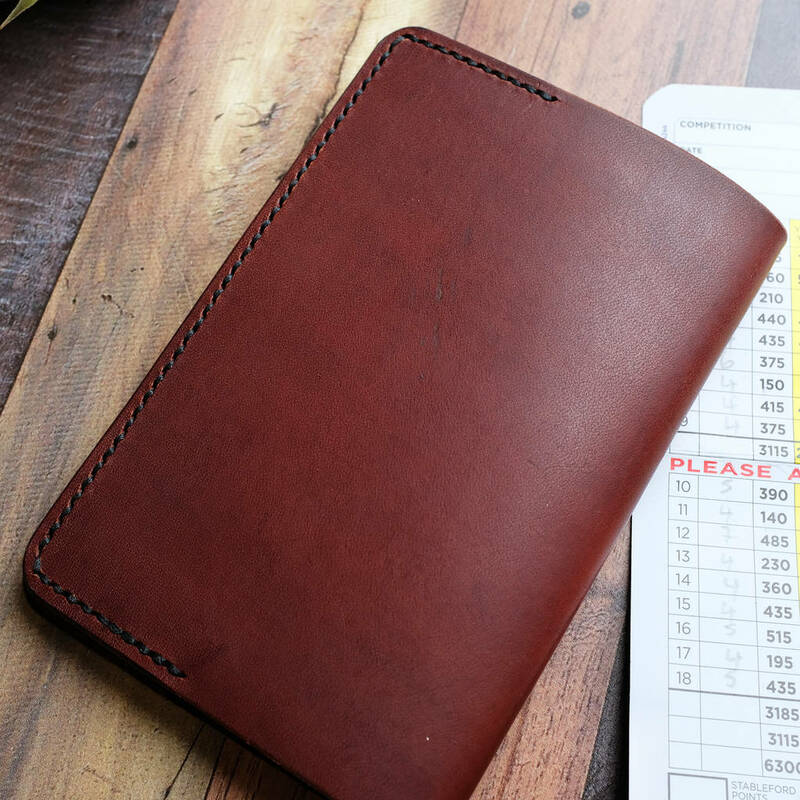 Made from 100% genuine Italian leather, and hand stitched with waxed linen thread.